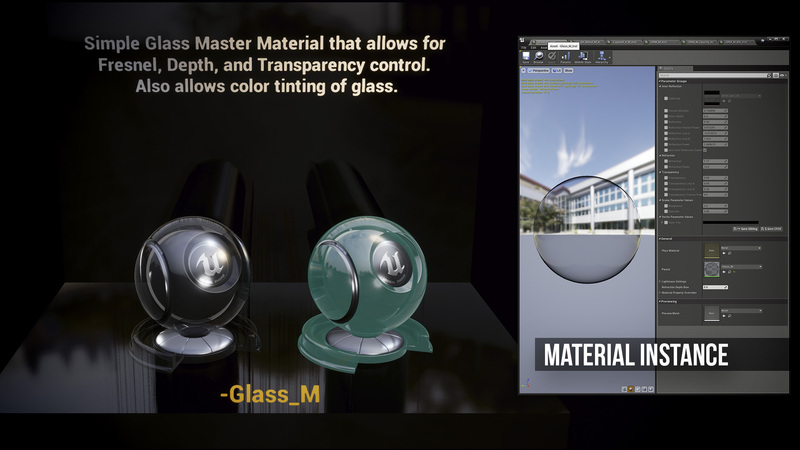 This pack includes 6 Production-ready Master Materials and Instances covering a broad range of common material bases used in game production.Included in this pack are the following Master Materials: 1) Basic/Optimized Master, 2) Basic/Optimized Transparent Master, 3) Basic/Optimized World-Aligned Master, 4) Glass Master, 5) Four Material Layered Master, and 6) Height blend Vertex Painted Master. 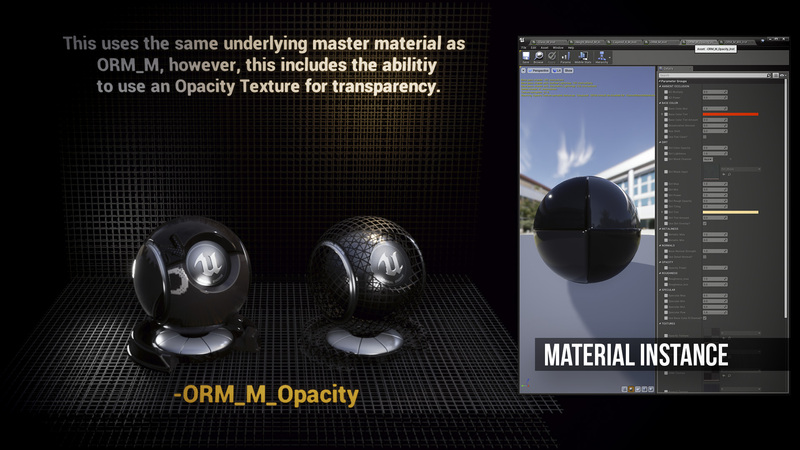 Simply duplicate material instances for unique looks while maintaining a common, base material. 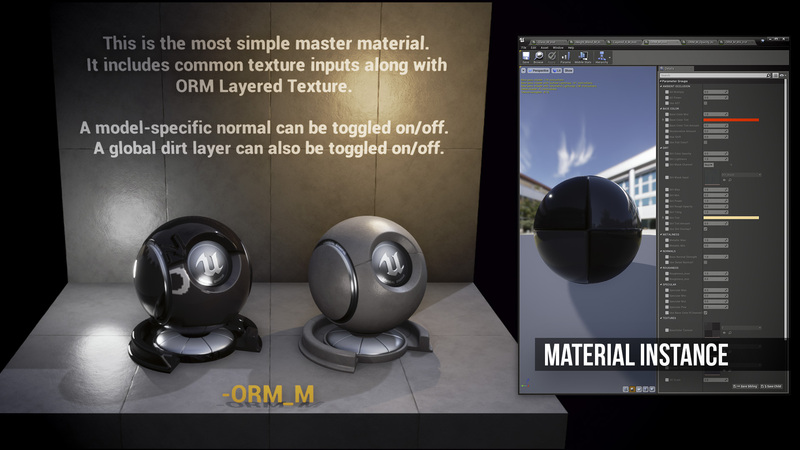 Perfect for a standardized asset pipeline and artist-friendly controls. 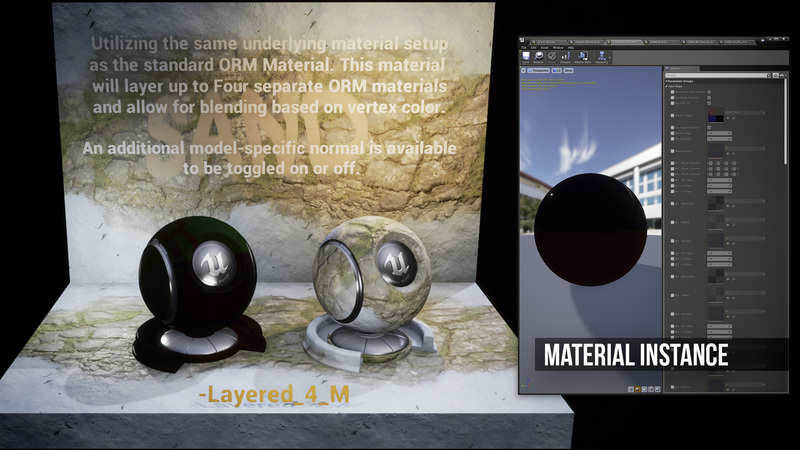 © 2019 Bad Rhino Games. "Website under construction forever"